The Twenty-Fourth Judicial District Court has original jurisdiction of all civil and criminal matters in Jefferson Parish, with the exception of certain juvenile matters. The Twenty-Fourth Judicial District Court has appellate jurisdiction of appeals from all city courts in Jefferson Parish. There are 16 elected divisions of court in the District Court system. There is also a Criminal Commissioner’s Court, a Domestic Commissioner’s Court, as well as 4 hearing officers that the Gretna Lawyer frequently visits. The Twenty- Fourth Judicial District Court is located in the Thomas F. Donelon Building, previously known as the “Annex Building” to the Jefferson Parish Courthouse. The address is 200 Derbigny Street, Gretna, LA 70053. The Annex Building was originally built in 1969 and initially had only two stories. Three additional stories were added in the late 1970s. After the addition of the three stories, it housed the Louisiana 5th Circuit Court of Appeal and the Jefferson Parish District Attorneys Office. In the early 2000s the 5th Circuit and the District Attorneys Office moved into their own buildings. 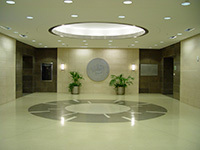 The Annex was completely renovated starting in October of 2004 and completed in January of 2007. As a Gretna Lawyer Mr. Weiser is in the courthouse almost daily. Second Parish Court is located at at 100 Huey P. Long Ave. in Gretna, and its jurisdiction covers offenses occurring on the West Bank of Jefferson Parish and Grand Isle. Court hours are 8:30am – 6:00pm Monday through Friday, excluding legal holidays. Westbank Jefferson Parish Traffic Tickets are handled hear, Misdemeanor Cases and Smaller Lawsuits. The Misdeamoner cases are handled in the morning docket usually around 9am. The civil cases are valued under $20,000 and are usually scheduled on the morning docket. The traffic court cases are typically placed at 5pm unless there is something additionally needed for them. If you need a Gretna lawyer please call out office at 504-358-2273. Misdemeamor and Traffic Tickets are handled at the City of Gretna Court. The Court is now held in Jefferson Parish Second Parish Court just two blocks down from City Hall. Traffic Court is held at 5:00pm. Municipal Court holds judicial hearings on violations of City Ordinances. Call Gretna City Hall at 363-1500 for scheduled dates of arraignments and trials. Office hours are 8:00 a.m. – 4:00 p.m. with Court hearings beginning at 6:00 p.m. on scheduled court dates. Call a Gretna Lawyer today.